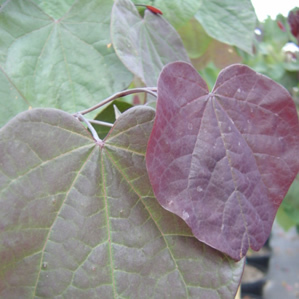 The Forest Pansy Redbud conveys dark red purple leaves along with showy pink to lavender pea-like blossoms which appear before the leaves in the spring. The older leaves will eventually fade to a lighter green with purple hues. This Redbud needs to be protected with shade in hot sunny regions. Cercis canadensis ‘Forest Pansy’ can reach 23 feet tall at maturity.